CBS OC-40402. 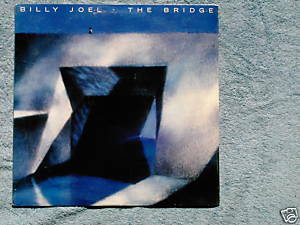 Billy Joel The Bridge 1986 LP includes A Matter of Trust, Modern Woman, Running on Ice, This Is the Time, Baby Grand with Ray Charles, Getting Closer with Stevie Winwood on Hammond Organ, Code of Silence cowritten with Cyndi Lauper. Produced by Phil Ramone. Sealed LP with very minor corner wear.